Our technicians at Triple M Carpet & Upholstery Steam Cleaners have been cleaning carpets and upholstery for over 15 years, and it shows in the work we do. We offer a satisfaction guarantee on all of our work. Whether you are moving into or out of your home or workplace, or just need to maintain your carpets and upholstery on a regular basis, we are the carpet cleaners to call! WE DON’T JUST CLEAN YOUR CARPET…. Triple M uses DuPont Teflon® to protect your carpet and upholstery from becoming soiled, as well as help prevent staining. We Deodorize It! We can deodorize your carpets and upholstery to eliminate any odors. This will freshen and sanitize any room. We know your upholstery takes the same kind of abuse your carpet does, especially if you have young children or pets. We use the same steam cleaning technique to remove all kinds of dirt and dust from your furniture. We now clean tile & grout using the latest cleaning tools, which utilize high pressure steam jets to remove stubborn dirt due to soil particles, detergent residue, hard water mineral deposits, and other hard to remove particles. 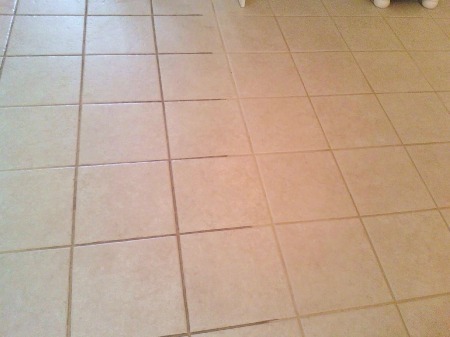 Sealing your tile is a very important part of the process, especially in areas where water is commonly present. Our high quality sealer will repel liquids that can lead to damage or stains, and will give you time to wipe up any spills. No job is too big or too small, so call today for a free estimate!